The ProtoShield mates with the Arduino UNO, Due, or Mega 2560 board and gives the user a small soldering area, two general LEDs, a general pushbutton switch, and most important of all - the Arduino reset switch is brought to the top level. 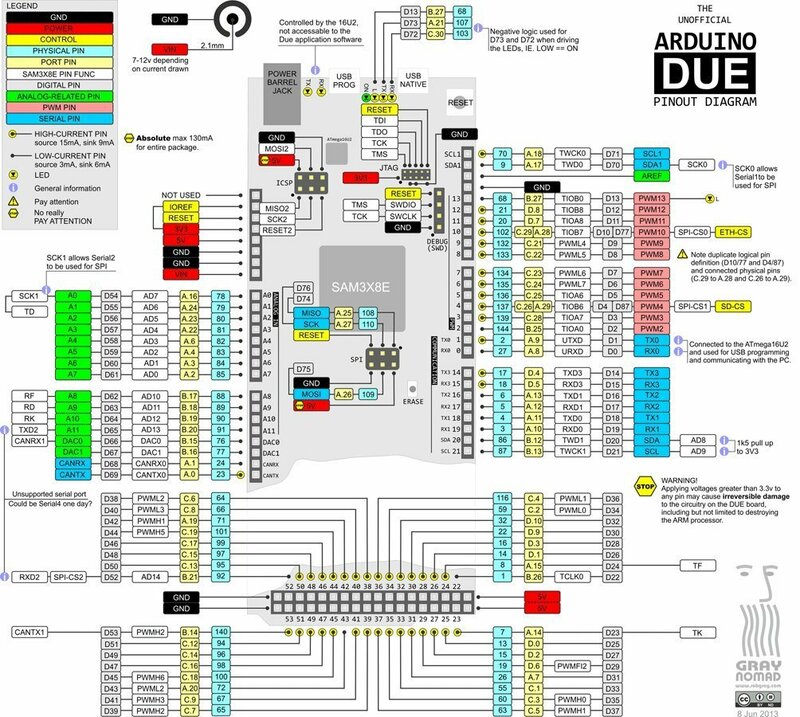 All of the pins and the power leads are very fit and build circuit prototyping with Ardui-no. Note: The board is hardware compatible with the Arduino Uno, Mega 2560 and the Due. 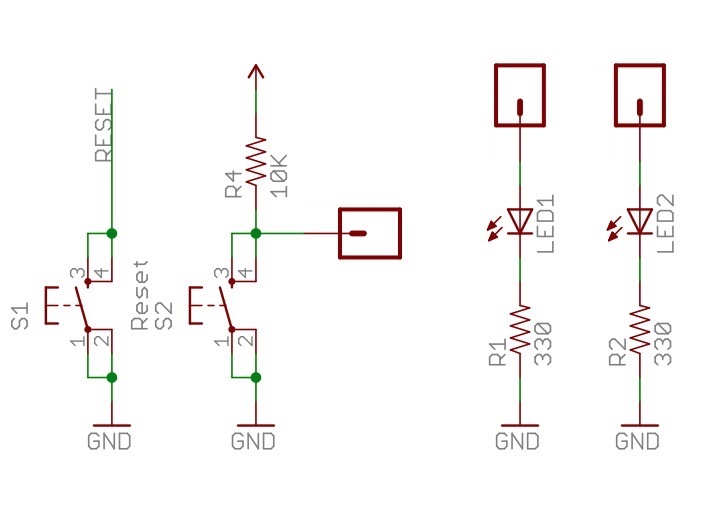 However, be aware that the Arduino Due's signals require a 3.3 VDC level. Applying 5 VDC to an input may cause damage to the board's components. Please be aware that the resistor R4 is not part of the delivery; this must be added by you. In the following sketch we have assigned LED1 to pin 13, LED2 to pin 12, and the push-button to pin 11. The program lets LED1 blink, while LED2 is controlled by the push-button. Please be aware that the push-button, when pressed, delivers a low signal (see also the schematic). Also, make sure you add the 10 kOhm resistor, which is not part of the delivery. Important! For the Arduino Uno and Mega 2560 provide 5 VDC to the resistor R4. For the Arduino Due provide 3.3 VDC. Both levels are available on the ProtoShield board. Click the button below to add the Arduino ProtoShield Prototype Board with Mini Breadboard to your wish list.